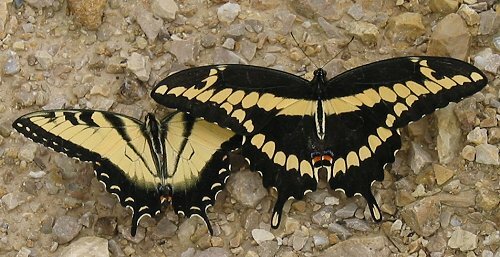 Giant Swallowtails are at the northern edge of there range here in central Wisconsin. Some years we have only a few, and some years there are hundreds. 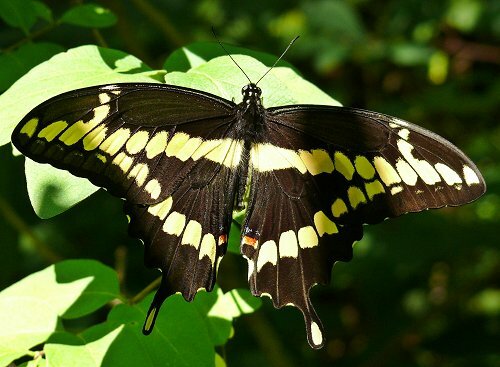 There's some debate about whether the butterflies overwinter here, or fly up from the south in the spring. 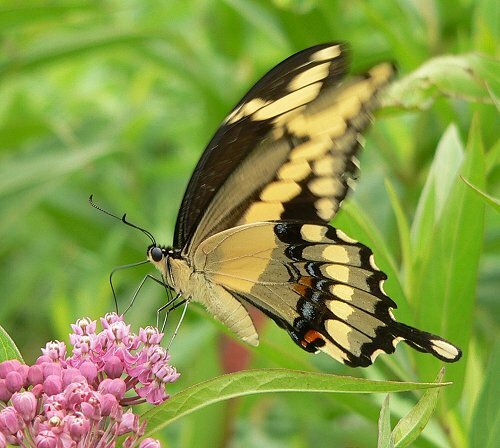 The earliest I've seen one here - Buffalo County, WI - was May 29 (in 2006). 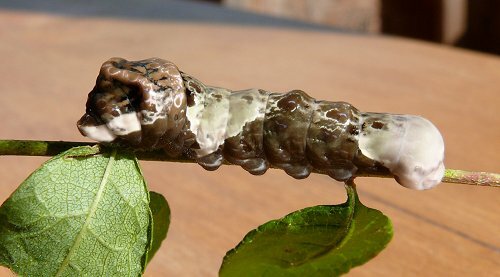 The caterpillars of the Giant Swallowtail eat plants in the citrus family (Rutaceae). Here in Wisconsin, their only food is Prickly Ash (Zanthoxylum americanum). 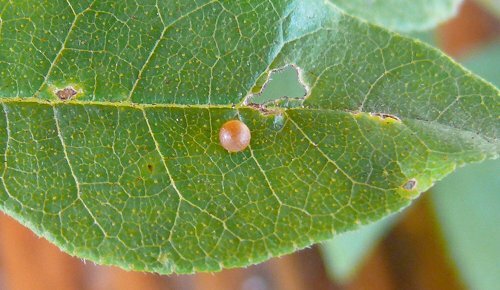 Egg on Prickly Ash leaf - on top of leaf. 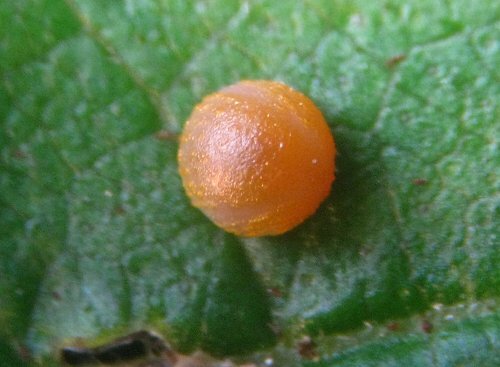 All the eggs I've seen were laid on the top side of leaves. 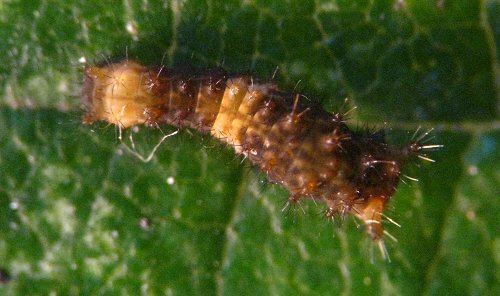 Early instar caterpillar. 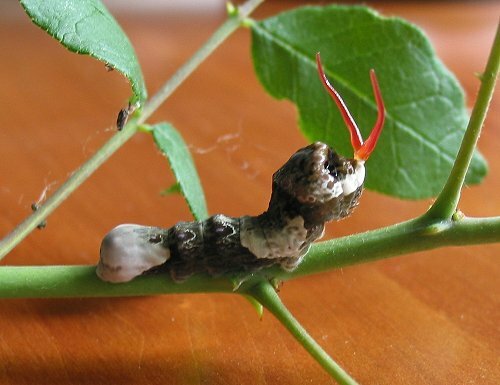 Caterpillars also seem to prefer the tops of leaves, or the top side of the leaf stalk. 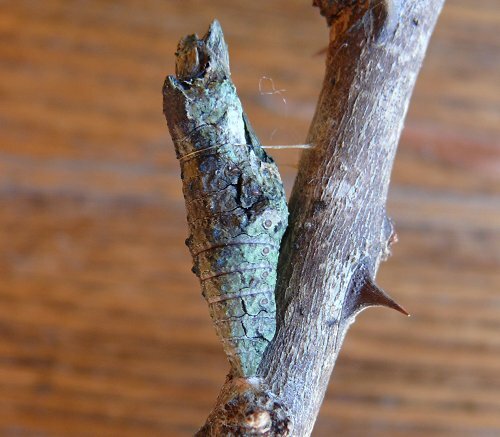 This entry was posted on Wednesday, February 11th, 2009 at 11:14 am	and is filed under Butterflies, Lepidoptera. You can follow any responses to this entry through the RSS 2.0 feed. Both comments and pings are currently closed.